Hello, everyone. As this is Magic's 25th anniversary, I thought it would be fun to do a trivia column testing knowledge about the game from over the years. I'm going to first ask 30 trivia questions (one from each year plus a few bonus ones). I will then give you the answers and you can see how well you did. That said, on with the quiz. When Richard Garfield (and Mike Davis) first approached Wizards of the Coast to sell a game, it wasn't Magic. What game, which Wizards would later produce, was Richard initially pitching? Magic first went on sale at a convention in the summer of 1993. What convention was it? In Limited Edition (Alpha), artist Mark Poole submitted an illustration for a dual land, but it ended being made into its own card. What card was it? At the end of the summer of 1994, which card had more copies in existence than any other? Ice Age premiered the new tweaked white mana symbol. What card, because it was printed as a preview promo, has the distinct honor of being the only one ever printed with both versions of the white mana symbol? Mirage's Maro is one of the few pieces of art not originally illustrated for a Magic card. What did the artist, Stuart Griffin, call the original painting? How many cards come in an Alliances booster pack? Which of the following didn't first appear in Unglued? Urza's Legacy was the first set to have which of the following in its booster packs? What appears fully or partially in the art of every kicker spell in the set Invasion? Which card in Odyssey used art commissioned for a card in the never-published Unglued 2? Torment is the set where one color (black) had the highest percentage ever in a set. Of the 143 cards, what percentage was black? What evergreen keyword was introduced in Legions? Some people consider Champions of Kamigawa to have 306 cards and some consider it to have 307. Why? Which legendary creature was the protagonist of the Ravnica: City of Guilds novel? Including the timeshifted cards, how many non-evergreen (then or now) named keyword or ability word mechanics appeared in Time Spiral? Which was the first futureshifted card from Future Sight to see its "initial" printing in a later set? Discounting futureshifted cards from Future Sight, Shards of Alara introduced a number of things to Standard-legal sets. Which one of the following wasn't it the first to do? Which character who appears in Zendikar was originally created for the Duels of the Planeswalker video game? Prior to the release of Scars of Mirrodin, how many cards in Magic could give a player poison counters? The design of which Innistrad double-faced card was not inspired by a specific classic horror story/film? Which of the following images does not appear on a Return to Ravnica booster? Which creature type combination doesn't show up in Gatecrash? Which two Theros gods are twins? There is a creature in Dragons of Tarkir that is almost identical to a creature in Khans of Tarkir with just one minor tweak. What is that tweak? What is the greatest number energy symbols to appear on any one card in Kaladesh? As of the end of 2017, in how many different sets could you open a full-art land in a booster pack? 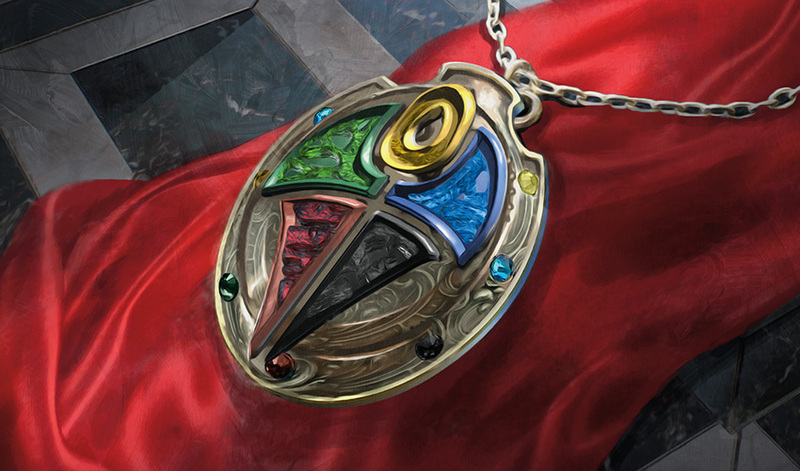 If you wanted a chance to hold in your hand the same artifact Squee is holding in his hand on his Dominaria card, what set would you have to purchase? In how many languages is Magic currently printed? Once you've answered all 30 questions, click here to see the answers. 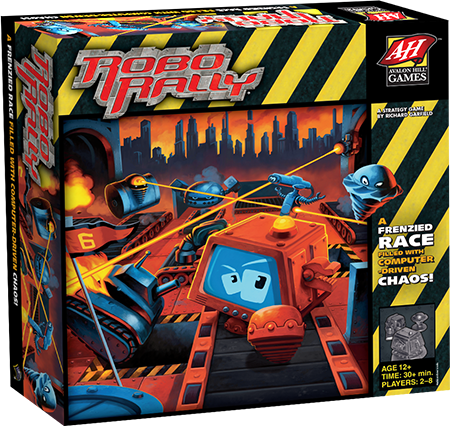 Peter Adkison, Wizards of the Coast's original CEO, really liked RoboRally, but the component pieces were too much for Wizards to produce at the time, as the company was then a small roleplaying game company. Peter had access to a printer and artists, so he told Richard he would be able to make a card game. He suggested it be something with a shorter playtime, so it could be played in between roleplaying sessions. Richard went away to see if he could assemble such a game and was inspired to create Magic. He later returned to visit Peter with his Magic prototype, which Peter adored so much that he signed on for Wizards to produce it. When Richard first created the game, he called it Magic, but there was concern that it was too generic a name from a legal perspective. To solve this problem, they came up with a new name, but Richard was never happy with it. He and the playtesters still referred to it as Magic. The new compromise was to add a suffix to the name, and thus the game became Magic: The Gathering. The first cards appeared at Origins, but they were just for demonstration purposes and not for sale. The first convention to have Magic cards on sale was Gen Con, but that almost didn't happen. Just before Gen Con started, Carta Mundi had delivered the first shipment of Magic (about 6,000 cards), but it had all been sold out to distributors. Another shipment was due, but not until after everyone had left for Gen Con. Luckily, they managed to arrange a shipment from Seattle to Milwaukee (where Gen Con took place at the time). That shipment though didn't arrive by the time the convention started on Thursday. It finally showed up midday Friday, and Magic would go on to become the belle of the convention, selling out everything they had shipped. Peter was still working for Boeing at the time. He returned from Gen Con and quit his job to run Wizards of the Coast full time. Mark turned in the art. Richard saw it when it came in and thought the bird was too prominent, but he liked the art, so he made a brand-new card built around the bird. Interestingly, for years, I'd always heard that the dual land in question was Tropical Island, but I had the opportunity to finally meet Mark Poole at Grand Prix Las Vegas earlier this year, and I learned from him that the dual land was actually Volcanic Island (note the plume of smoke coming off the island). A little bit of new trivia for the trivia buffs. Here's why it was Atog. By the end of the summer of 1994, the set with the most cards in print was Revised Edition. (Legends had come out in June, but it hadn't yet caught up to Revised, which had come out in April of that year.) As commons are all that matter when talking about the most cards in print, we need to look at the commons. Every common in Revised had appeared in another set. Atog had been in Antiquities, Erg Raiders had been in Arabian Nights, and the rest had been in Limited Edition (aka Alpha and Beta). As each Magic expansion had a significantly larger print run than the one that came before it, there were just more Antiquities cards than either Arabian Nights cards or Limited Edition cards. Legends did have three cards that appeared mechanically in Alpha (Barbary Apes was Grizzly Bears, Headless Horseman was Scathe Zombies, and Raging Bull was Gray Ogre), but their names had all been changed, so they don't count as the same card. I'm not sure exactly why Prismatic Ward was chosen as the preview promo (it's an odd choice using today's criteria), but it was, so it has the unique quality of being printed with both white mana symbols. Answer to Question #7 – c. "The Green Man"
The art director at the time was a woman named Sue-Ann Harkey. She was at a convention and saw a piece of art she really loved by English artist Stuart Griffin, so she asked if she could buy the rights to the piece, and he said yes. Then during Mirage, she found a place to use the piece, on the nature spirit Maro. The card ended up getting named after me, so I bought the art, and it now sits in my den along with my three other pieces of original Magic art (Jester's Sombrero and Look at Me, I'm the DCI from Unglued and Mise from Unhinged). The Green Man, according to Wikipedia, is "a sculpture or other representation of a face surrounded by or made from leaves. Branches or vines may sprout from the mouth, nostrils, or other parts of the face and these shoots may bear flowers or fruit." The image is popular on English pub houses and inns. Over the years, Magic has been sold in boosters of varying size. Early small boosters came in packs of eight cards. Unglued came in packs of ten cards. 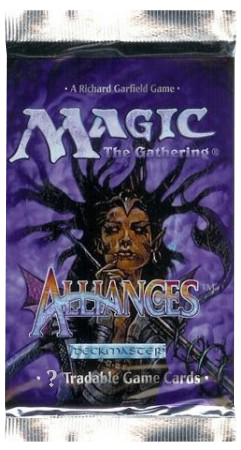 Alliances is, to the best of my knowledge, the only Magic set ever sold in boosters of twelve cards. Starting with Mirage, the very next set, all expansion boosters became fifteen cards (with the exception of some supplemental products and some direct-to-mass-media products). Full-art lands, creature tokens, and referencing multiplayer play in rules text all started in Unglued. Coin flipping, though, first appeared four years earlier in Arabian Nights on three cards (Bottle of Suleiman, Mijae Djinn, and Ydwen Efreet). Premium cards premiered in Urza's Legacy. Copyrights first started showing up in Legends, and collector numbers and rarity symbols began in Exodus. It shows up in the art of all the kicker spells as it represented them fighting back against the Phyrexians. We've learned over time the difficulty of lining up a mechanic with a particular callout in the art as it makes it very hard to add or remove the mechanic late in design, so it's not something we do much of anymore. I thought it would be really funny to have an Atog lord that ate other Atogs, so when I was making Unglued 2, I designed Atogatog. The set was cancelled, but not until after all the art had been commissioned. During Odyssey development, Randy Buehler, the set's lead developer, asked me to design a cycle of ally colored Atogs. I turned them in along with Atogatog. I told him if we put it in the file we'd save on an art fee as we already had the art. One of the lessons from my "Twenty Years, Twenty Lessons" 2016 Game Developers Conference speech (you can see the video here and my articles about it here, here, and here) was "You don't need to change much to change everything." One fifth of a 143-card set would be 29 cards, so the fact the "black" set was only 40 cards (eleven more than normal) speaks volumes to how a small shift can feel huge. Double strike was created by someone submitting mechanics to the first "You Make the Card." Sadly, their name has been lost to history. [Editor's note: This person was Wayne Alward.] It wasn't appropriate for the green creature it was turned in for, but we liked it, so we used it the first chance we saw where it fit, Legions. Haste premiered years earlier in Sixth Edition, flash premiered years later in Time Spiral, and vigilance premiered years later in Champions of Kamigawa. Brothers Yamazaki had two pieces of art, one representing each brother. This little gag ended up costing a lot more money than we had panned as it inadvertently required adding an entire extra printing sheet. Had we known that ahead of time, I doubt we ever would have done it. Argus Kos was Ravnica's answer to a beat cop and served as the main point-of-view character for the novel. Time Spiral, between the main set and the timeshifted sheet, had thirteen non-evergreen keywords (buyback, echo, flanking, flashback, kicker, madness, morph, rampage, shadow, split second, storm, suspend, and threshold). Flash did premiere in the set, but I didn't count it as it's now evergreen. Boldwyr Intimidator showed up first as it was in Morningtide. Mistmeadow Skulk was in Shadowmoor (along with pre-print Graven Cairns), Phosphorescent Feast was in Eventide, and Nessian Courser would show up years later in Theros. Lorwyn was hinted at in Future Sight, but it didn't have a reprint. Goldmeadow Harrier was teased on the card Goldmeadow Lookout, which made Goldmeadow Harrier tokens, and Tarmogoyf's reminder text mentioned planeswalker and tribal, two new card types that premiered in Lorwyn. Shards of Alara was the first set to have artifacts with colored mana costs, a basic land slot in booster packs, and mythic rare cards, but it wasn't the start of planeswalkers in every set. Alara Reborn, the last set in the Shards of Alara block, didn't have a planeswalker. Planeswalkers in every Standard-legal set would start with Zendikar. When designing the original Duels of the Planeswalkers video game, there were three decks that didn't make sense with the existing Planeswalker line-up, so we made three new planeswalkers for the game—Nissa, Ral, and Kiora. The plan was if they got popular enough, we'd find homes for them in sets. Nissa even appeared on the box of the game. While making Zendikar, we decided that it would be Nissa's home plane. There were nine poison producing cards: Pit Scorpion and Serpent Generator from Legends, Marsh Viper from The Dark, Crypt Cobra and Sabertooth Cobra from Mirage, Suq'Ata Assassin from Visions, Swamp Mosquito from Alliances, and Snake Cult Initiation and Virulent Sliver from Future Sight. Leeches from Homelands let you remove poison counters. Scars of Mirrodin would add 20 cards to the list, tripling the number. Civilized Scholar/Homicidal Brute was directly inspired by Dr. Jekyll and Mr. Hyde, Cloistered Youth/Unholy Fiend was our take on a possessed child, and Delver of Secrets/Insectile Aberration was inspired by a science experiment gone wrong. Ludevic's Test Subject/Ludevic's Abomination was playing in archetypal horror space (the scientist who creates something he shouldn't that comes back to haunt him), but it wasn't designed as the result of a specific story. 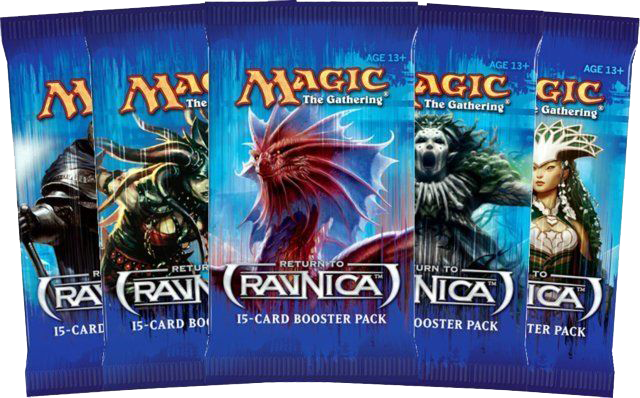 The five images on the Return to Ravnica booster packs were Korozda Guildmage; New Prahv Guildmage; Niv-Mizzet, Dracogenius; Rix Maadi Guildmage; and Vitu-Ghazi Guildmage. Chorus of Might is Selesnya and looks similar, but it isn't Vitu-Ghazi Guildmage. The Crocodile Frog was Crocanura. The Human Ooze was Experiment One. The Spirit Advisor was Obzedat, Ghost Council. There was no Cyclops Warrior. Fortress Cyclops was a Cyclops Soldier. Iroas and Mogis are the twins, each a different aspect of war. We liked the idea that for one creature the timeline change just didn't really matter—things were still basically the same. So, in Dragons of Tarkir, we reprinted the same card except we had the artist draw in a few Dragons. Aethertorch Renegade had the most with fourteen symbols. Aethersquall Ancient had eleven, and Architect of the Tamed had nine. No card in the set had sixteen energy symbols. Nine sets (as of 2017) have included full-art basic lands: Unglued, Unhinged, Zendikar, Worldwake, Battle for Zendikar, Oath of the Gatewatch, Amonkhet, Hour of Devastation, and Unstable. Squee is holding Squee's Toy, first seen in Tempest. In the story, Squee accidentally activates his toy (he's unaware what it actually does) and saves the day in the Death Pits of Rath. Magic is currently printed in eleven languages: Chinese (simplified), Chinese (traditional), English, French, German, Italian, Japanese, Korean, Portuguese, Russian, and Spanish. 1–9 correct: You have a lot to learn about Magic trivia. 10–15 correct: You've obviously been paying some attention. 16–20 correct: You're starting to show some Magic trivia potential. 21–24 correct: Pretty decent. You've got Magic trivia chops. 25–27 correct: Very good. I'm impressed. 28–29 correct: You have mad Magic trivia skills. 30 correct: I bow down to you. I hope you all enjoyed today's trivia column. Let me know what you thought of it and if you'd like to see more trivia columns in the future. You can email me or contact me through any of my social media accounts (Twitter, Tumblr, Google+, and Instagram). Join me next week when I answer your questions about Guilds of Ravnica. Until then, may you soak up all the Magic trivia as you play.